Roll of Honour. 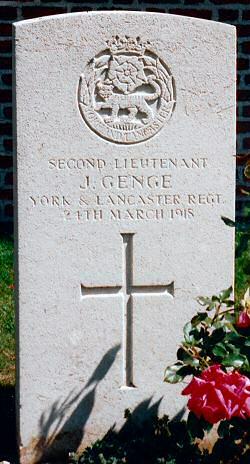 The local friends and acquaintances of Lieutenant John Genge will regret to learn that he died in a Field Hospital on 24 March last of wounds received in action. The deceased gallant officer, who was in his 33rd year, was the son of the late Mr John Pope Genge of Halkett Place and was educated at Victoria College from 1896-99, he afterwards left for Canada and at the outbreak of war was one of the first volunteers in the Canadian Mounted Rifles. 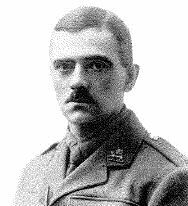 After serving in France he was granted a commission and was gazetted to the York & Lancaster Regiment. We tender the relatives our heartfelt condolences. 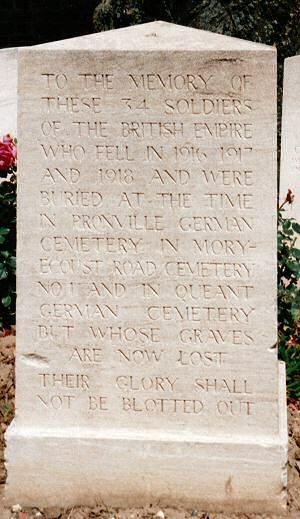 Originally buried in Queant German Cemetery. Died of wounds in a Field Hospital at Queant, aged 32 years.